Prime Minister Iurie Leanca asked Moscow to begin talks "to develop a system of exporting alcoholic beverages" in accordance with bilateral agreements and World Trade Organization rules, his office said. President Nicolae Timofti called Russia's ban "unfriendly," The Associated Press reported. Russia’s chief sanitary inspector Gennady Onishchenko said Tuesday he was banning Moldovan wine and brandy because they did not meet quality standards. However, many in Moldova suspect the ban is an attempt to dissuade the former Soviet republic from signing an association agreement with the EU in November. 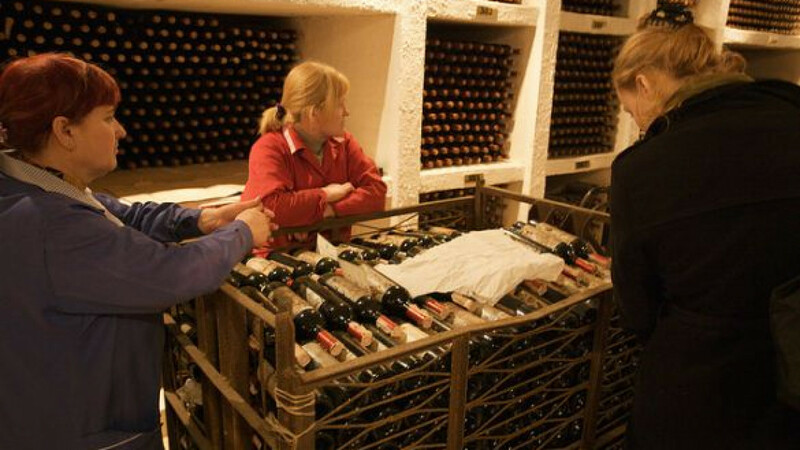 Russia is the top market for Moldovan wine and brandy, with sales of $61 million last year. Meanwhile, a Moldovan court suspended a deal with a consortium of Russian companies to upgrade and run the Chisinau airport after a group of local lawmakers claimed that the tender for granting the right to use the facility had been held with violations, a report said Wednesday. The decision by the country's Constitutional Court was made upon request by Liberal Party deputies and will remain in effect until “definitive consideration of the case,” Interfax reported, citing a statement on the court's website. Deputies believe that the decision by the Moldovan government last week to grant alliance Avia-Invest concession of the airport was made in violation of existing legislation. “The tender wasn't transparent,” Moldovan parliament Deputy Ion Hadarca told Interfax. He argued that the decree on conducting the contest dates back to May 29 — more than two months after resignation of Prime Minister Vlad Filat's cabinet. “According to the legislation, the ousted cabinet has no right to make such decisions,” Hadarca said. The Moldovan government made a decision last week to grant Avia-Invest, which includes the Khabarovsk airport, its managing company Komas and producer of diesel locomotives Kolomensky Zavod, a 49-year concession for the Chisinau international airport. The companies were supposed to invest almost 245 million euros ($328 million) to upgrade and develop the facility. They were also obliged to pay a royalty of 1 percent of the airport's revenues to the Moldovan government, which fell short of the cost of carrying out the modernization by itself, Itar-Tass reported. The European Union rejected on Wednesday Russian pressure to deter Ukraine and other former Soviet republics from deepening trade ties with Europe, saying any kind of retaliation was unacceptable, Reuters reported. Addressing these tensions, European Commission President Jose Manuel Barroso said the EU would not countenance efforts to stop eastern European countries seeking closer ties with the 28-nation European Union. "We cannot accept any attempt to limit these countries' own sovereign choices," Barroso said in his annual state of the union speech to the European Parliament in Strasbourg. "We cannot turn our back on them," he said. The EU's enlargement chief Stefan Fule was set to reinforce Barroso's criticism later Wednesday, according to an advance copy of his speech to the parliament. "Any threats from Russia linked to the possible signing of agreements with the European Union are unacceptable," Fule was expected to say.